kiriandsteve » Hobby or business? It therefore seemed natural when Kiri and I got together to combine my photography and web development skills with Kiri’s design skills and to add graphic design and web design to the business. And this is where I should probably say that I use the term “business” very lightly. You see we’ve never really attacked either the photography or design work full on as a business. We’ve always charged mates rates as we built up a portfolio of work and improved our skills and have never properly got stuck into marketing our work. Soon after we got married, we decided that the wedding photography side of things would be retired. After a full week at work, I don’t want to have the whole weekend taken up with a wedding (plus the mandatory few evenings of preparation beforehand). The web design and development stayed, as that’s something we were happy to work on together in evenings and at weekends – Kiri on the design side and me on the coding. And then our big trip around Europe happened, which was basically a bit of a sabbatical from work for us both, although we did hole ourselves up in a campsite near Prague for a few days for some focussed web design. This time when I went back to work full-time though we realised that something had to go. With a child on the way, we would have to prioritise family time in evenings and weekends. 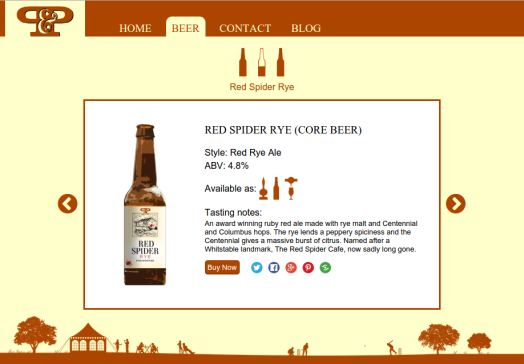 We had hoped to get version 2 of the Pig & Porter website live before we moved on, but as they were undergoing a further re-branding, we were unable to do that before we bade them a reluctant goodbye. It wouldn’t have been fair on them to remain as their web designers as they’re a growing business and we wouldn’t be able to give them the support that a full time web design company could. We’ll just have to support them by drinking their beer instead! 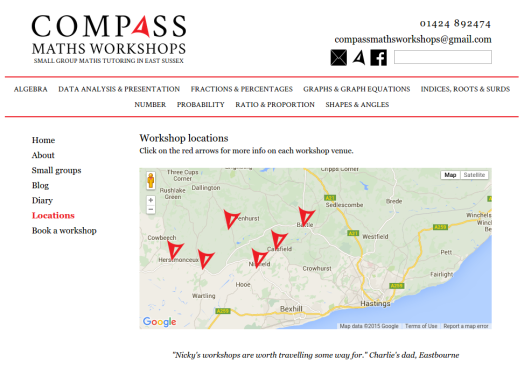 And we’ve just put the finishing touches to the Compass Maths Workshops website that we started several months ago. So that leaves us with some big decisions. With the “business” as just graphic design currently and Kiri as a full time Mum, we’re contemplating whether it’s worth keeping it as a business. We’re not entirely sure that the freelance model works for us; you’ve got to be driven and hungry for sales as that’s what clients normally expect and deserve… isn’t it? But we’ve got other priorities now – there’s family and we’ve still got photos and video footage from our Europe trip that remain unprocessed. If we’re serious with the “business”, we’ll need to invest in a new Mac for Kiri and start paying out for the latest Adobe Creative Suite software which is sold on a subscription basis these days. And what about the camera equipment that’s just sitting there? How can we justify that? Should we start selling photos from our trip? Should we get into baby photography? And in all of this, our “business” website remains in the temporary state we put it in back in 2012. So watch this space – there may be exciting things on the horizon for Lightbulb Head, or we may just quietly switch the light off. Who knows. Tax ‘losses’ from my business as a part-time psychotherapist provided useful tax refunds. Maybe use you gifts gently? We are now retired in France with workshops on the horizon once we’ve had the roof-leaks fixed. Enjoyed reading your letter. As you say, wedding photography is very time consuming, but may be you will be able to take it up again once the little one is older. We are thinking of you today! That’s an interesting question Richard – I guess whilst there may be a subconscious element of chewing things over more through the process of writing, I’m more interested in other people’s thoughts might be on whatever it is that I’m writing about. Which segues nicely into Roger + Sylvia’s response. I really like the phrase “using gifts gently” – that’s really helpful. As the business has fairly low outgoings, we have historically broken even or turned a slight profit, so there’s no real tax benefit. Hope you get the roof leaks fixed soon! As for wedding photography; I think that’s probably why I’m reluctant to let go of my camera equipment; I would like to keep the option of going back to it open for now.